The sport of roller derby has a long and colorful history. Roller Derby is one of only two sports invented in America and perhaps the one team sport where women have always dominated. Created during the Great Depression, Roller Derby helped many people off the street and allowed them to achieve their dreams of being athletes while inspiring all who came to watch. 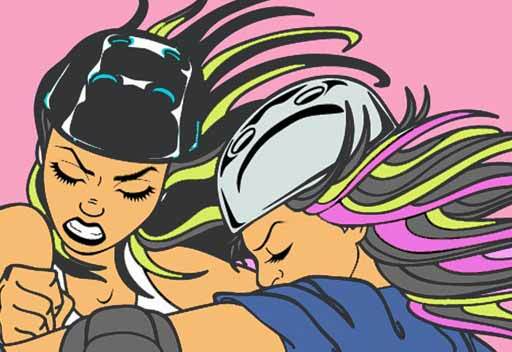 Roller Derby is one of very few sports where women from all walks of life drop the drama and just get together to skate, blast some music, and have fun. They are there to inspire, teach, help each other out, and most importantly, when you fall down they are there to remind you to, 'GET BACK UP!' No matter who you are, what your body type is or how old you are, a Rollergirl can do and learn something new that is empowering and brings out true beauty and confidence. Roller Derby has created a new female role model. 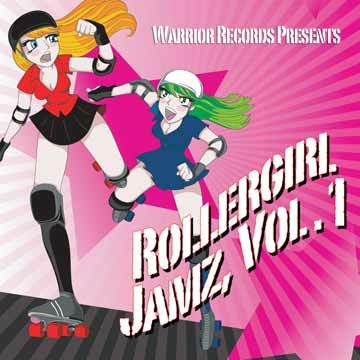 The bands on this record are a big part of Roller Derby. Their songs inspire us and are great for skating. They create the punk rock ambiance of roller derby by playing live at our bouts. That's all the history I got for you, because we're making the history right now. Enjoy the music!